The best campfire snack is undoubtably a s’more! 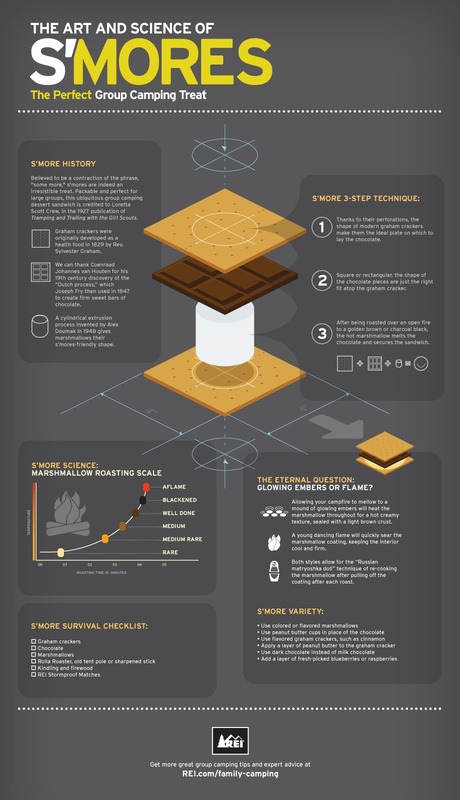 Is there a science to making the perfect s’more? Our favourite addition to our campfire s’mores is a Two-Bite brownie sandwiched in the middle of the marsmallow-y goodness! This entry was posted in Fantastic Food & Recipes and tagged Campfire, Camping, Chocolate, Cooking, Family, Fire, Food, Graham Cracker, Infographic, Marshmallow, Recipe, S'mores. Bookmark the permalink.